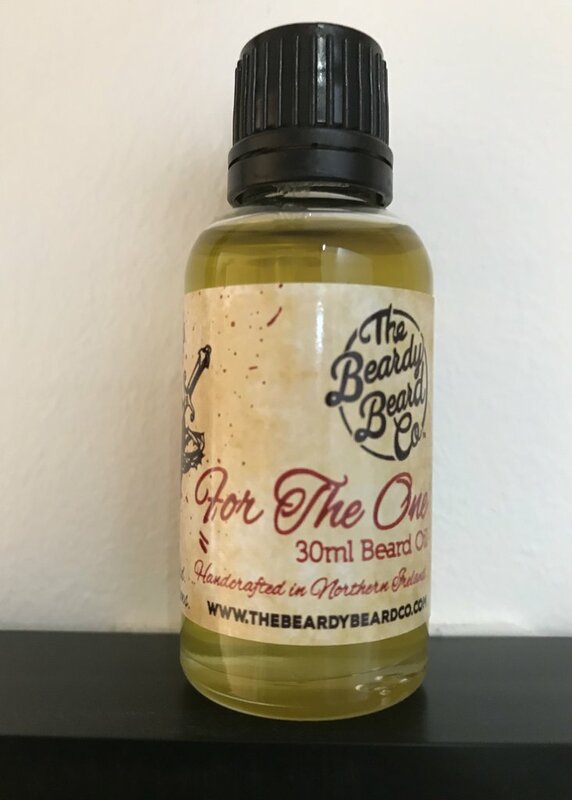 Whenever I think of The Beardy Beard Co products, I think of quite strong scents with spice and so the new ‘For The One’ floral scent is very different and I like it! In fact I love it! I love good branding and the labels on the ‘For The One’ beard oil is something that grabbed my attention when I first saw it revealed on Instagram. Branding is so important, we are drawn in by branding and billions is spent on branding of products and branding can make or break a product. The 30ml glass bottle have a screw top with a dripper, I have to say that for me it is frustrating waiting for the drops to fall into my hand and so I always remove them, but they are great to avoid spillage of your precious beard oil. The oil is golden and felt just very slightly thicker and I almost expected to see some castor in the ingredients, it is actually a blend of Jojoba, Sweet Almond, Grapeseed and Hemp seed carrier oils and it is a very good blend and left my beard feeling very soft and looking good. In fact I had previously tested a product that left me with beard itch and after a day using this oil, it was gone! The ‘For The One’ scent is a blend of Sandalwood, Neroli, Jasmine, Rosemary, Lavender and Benzoin and as I said, I love it. It is floral but it has a lovely warmth to it with a slight resin note that works so well with this blend. So when I have an amazing oil and scent with great branding, the fact that the products are assessed and approved and backed up by great customer service, well it was going to get the ‘Golden Beard Award’. The 30ml ‘For The One’ beard oil costs £15 from the website.